Rival contenders for the governorship in a Russian Pacific region girded for court battles, and more protests, after an unusual last-minute vote count in a runoff election gave victory to the ruling party incumbent. Supporters of Russia’s Communist Party have cried foul in the election to head the Primorye region, where Vladivostok, the home port to the Pacific naval fleet, is located. According to electoral officials, acting Governor Andrei Tarasenko was the victor in the runoff vote, after he surged ahead of challenger Andrei Ishchenko as final ballots were counted on September 17. However, Ishchenko had been ahead in the tally until nearly the end, and Communist supporters called the last-minute spike in ballots for Tarashenko suspicious. Hundreds of Communist supporters on September 17 protested outside the regional administration building in Vladivosto. Ishchenko said his party was preparing lawsuits challenging the declared results in several districts. He said party members who monitored the vote count in several locations have copies of the vote-count protocols that differ from the results announced by local officials. United Russia, which is the country’s dominant political party, accused the Communists of falsifications. 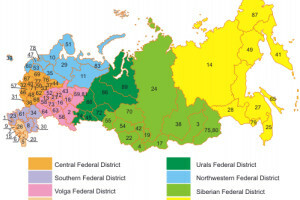 Out of 21 Russian regions in which gubernatorial elections were held on September 9, Primorye was one of four where candidates from United Russia failed to win 50 percent of the vote in the first round and were forced into runoffs. The September 9 elections were a test of President Vladimir Putin’s government as it seeks to raise the retirement age nationwide, a highly unpopular move that has prompted protests across the country. Putin met with Tarasenko ahead of the September 16 runoff and told him that “everything is going to be fine,” according to a transcript on the Kremlin website. The runoff vote came days after Putin hosted Asian leaders, including Chinese President Xi Jinping and Japanese Prime Minister Shinzo Abe, at an economic forum in Vladivostok last week.